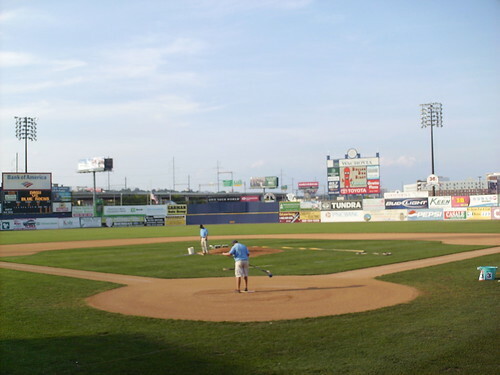 The view from behind home plate at Frawley Stadium. The view from down the first base line. 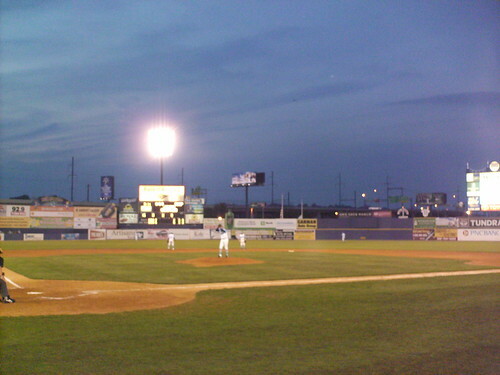 I-95 runs behind the left field fence. The view from down the third base line. 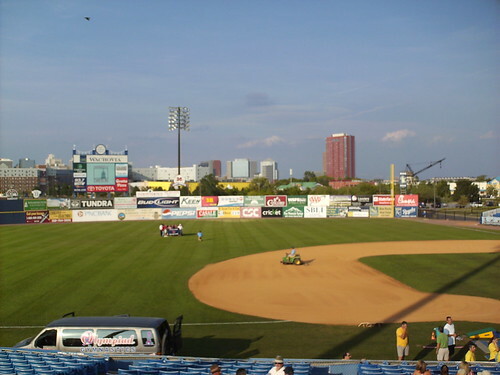 Downtown Wilmington looms over the right field wall. 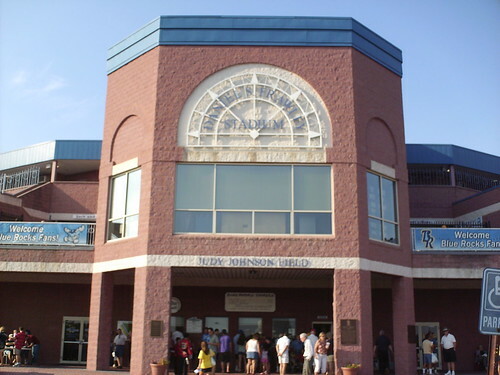 The grandstand and pressbox. 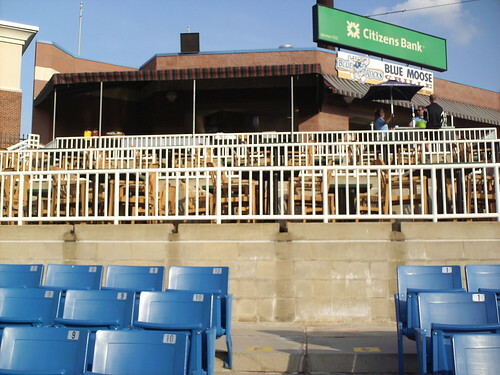 The Blue Rocks' pennants and championships are represented by baseballs along the luxury boxes. 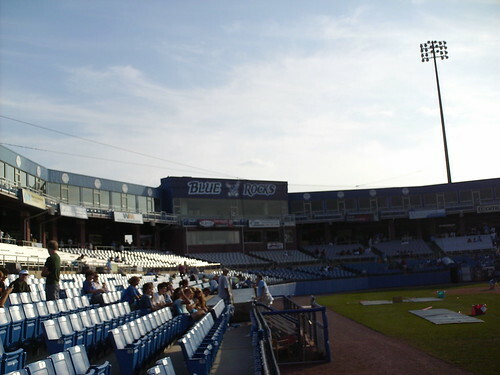 The Blue Moose Grille and picnic area down the third base line at Frawley Stadium. Banners along the concourse celebrate former Blue Rocks players who have made the majors, including many future Red Sox, as the team was a Red Sox farm team in 2005 and 2006. 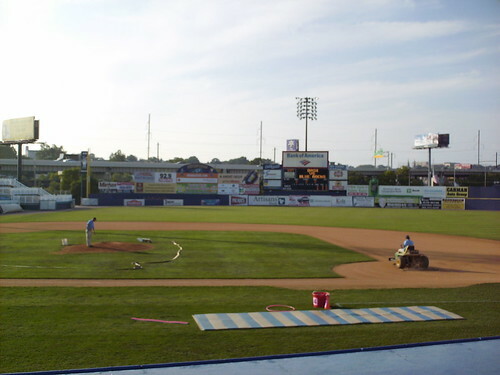 The Wilmington Blue Rocks on the field at Frawley Stadium. 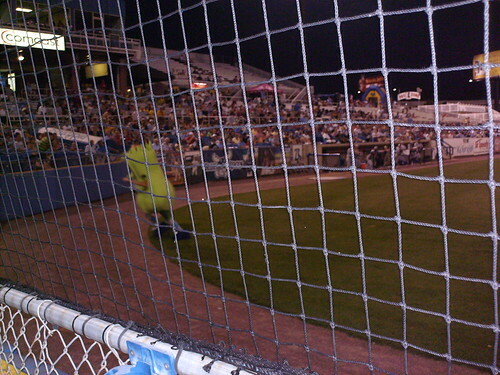 Mr. Celery, the team's secondary mascot, comes onto the field to celebrate after the Rocks score a run.